Optimize revenue opportunities with 24/7 connectivity. Reinvent mobile payment user experience with a pocket-sized device, long battery life and fast printer. 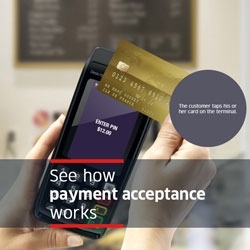 Bring mobility payment to your point of sale. Open-up a wide range of solutions for various environments (small merchants, hospitality and mobile businesses). The iWL series meets the highest security requirements and is PCI-PTS x and 3.x certified with SRED & open protocol modules. Offering EMV Chip & PIN, MagStripe and Contactless, the iWL series also enables new NFC couponing and wallet use cases. Designed for mobility use cases, the iWL series is a pocket-sized device. It’s the world’s smallest and lightest terminal. Extended battery life, pocket-size form factor, light weight design, perfect display readability, wide backlit keypad and robust casing make the iWL series ideal for all mobility uses cases. 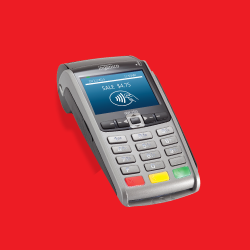 Natively designed for mobility, Ingenico has paid specific attention to delivering an outstanding battery life. Depending on the use cases, the iWL series can deliver up to several days of use. Featuring a unique portfolio of simple and multiple wireless connectivity options – GPRS, 3G, Bluetooth Class 1 & WiFi – the iWL series enhanced network quality of service, eg 3G/GPRS used as a back-up of BT. Beyond, Multicom enables a smooth integration of the iWL series in multi-devices solutions, e.g being connected in BT to an ECR, taximeter or tablet while keeping its own connection to the banking host. 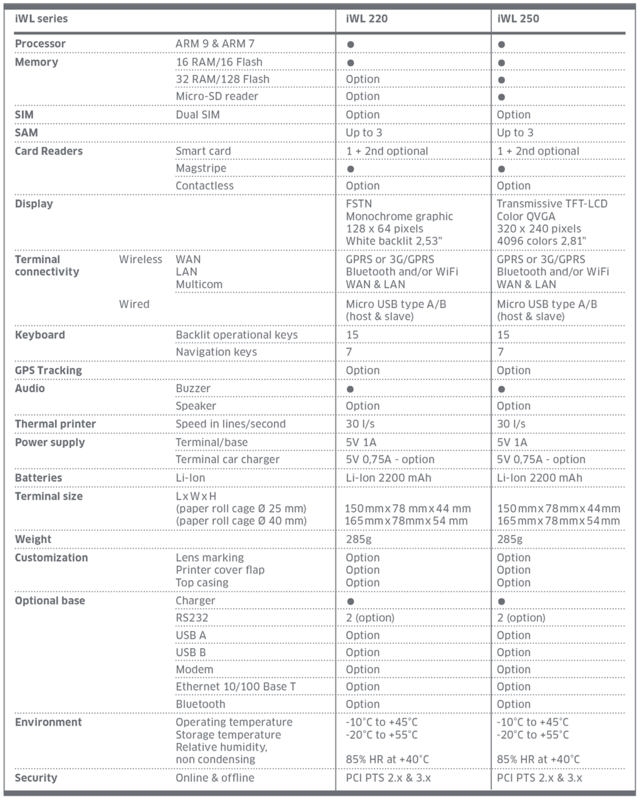 With its 30 lines per second, the iWL series printer is the fastest on the market. Reducing printing time improves on-the-spot efficiency. This guide will detail how you install and use your iWL2xx Bluetooth/GPRS/WiFi terminal, including Safety Instructions and instructions on transaction processing, printing reports and general maintenance of the terminal.